Expands patient-first treatment like no other system in the world. Animated video introducing Radixact. Designed for efficiency – new high-output liner accelerator, 66% increase in imaging speed, TomoHelical Mode, MLC leaf speed, Synchrony motion tracking and beam synchronization, TomoDirect Mode, CTrue IR, Precision and iDMS, fits in existing vaults. 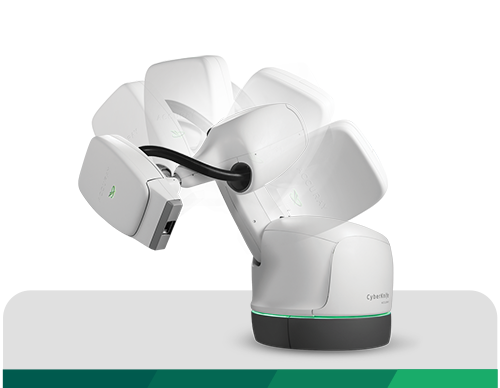 Seoul St. Mary’s Hospital, part of the Catholic Medical Center in Seoul, South Korea, has treated more than 500 patients with the Radixact® System, a next-generation helical radiation therapy technology, and the first system of its kind in South Korea. Read about the CTrue™ IR Image Guidance, this software improves soft-tissue contrast and reduces noise, enhancing image quality, while maintaining the same low imaging dose and fast reconstruction time. Explore a data security and privacy white paper showing how Accuray’s multi-modal approach addresses cybersecurity and data privacy. Read about the feasibility of real-time motion management treatment systems. Read the iDMS Data Management and Accuray Precision System upgrade information including preparation, installation and training overview. Watch the Radixact: the next generation TomoTherapy platform at the Universitair Ziekenhuis Brussel. Read a description and evaluation of deformable image registration using Accuray Precision software. Read about making adaptive radiotherapy practical for every clinic.